Renting out your house is a good idea, especially if you are looking for extra income. Just be sure you have a clear understanding of what this venture requires before embarking on it. Otherwise, instead of becoming beneficial, this exercise can bring you problems and even cause you to lose money. So, what should you do to successfully rent out your house? Make your house rent-worthy. Just like homebuyers, tenants can be picky especially when rental homes abound. Expect them to scrutinise every inch of the property. Naturally, if your place isn’t in tip-top shape, tenants would think twice about renting it. So, exert effort into making your house attractive for potential tenants. Before creating a listing, thoroughly inspect your house. Take note of functional problems such as leaking roof and faucets and/or pipes, clogged drains and non-working outlets. Make sure you repair all these issues before showing your property to potential tenants. Also, do not take for granted cosmetic problems like hairline cracks and peeling paint. Given how meticulous potential tenants could be, fixing these minor flaws can take you a step closer to securing good offers. Repainting your walls is also highly recommended. A fresh lick of paint can go a long way in terms of making your house look more attractive. As much as possible, use neutral colours on your walls to make your place appear brighter and cleaner. Lastly, make sure your house is sparkling clean. Eliminate clutter everywhere in the house. Don’t just wipe off dust on tables and/or cabinets and sweep the floor. Deep clean your house – wash the windows and screens, scrub the tub and bathroom tiles, wash or replace dirty and/or stained rugs, etc. Know the responsibilities of a landlord or a rental property manager. When renting out a property, the work doesn’t stop the moment you get tenants. In fact, you’ll have additional responsibilities such as collecting rent, overseeing the maintenance of the property, ensuring that your tenants are abiding by the rules, etc. 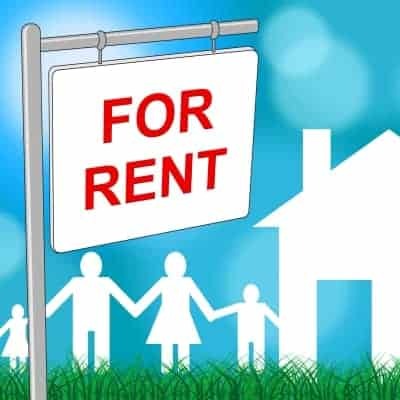 Simply put, when you rent out your house, you have to “manage” your property and see to it that everything is running smoothly during the course of the tenancy. So, before you start looking for tenants, ask yourself if you have the time to attend to these new responsibilities. If your schedule doesn’t permit you to fulfil landlord duties, then it’s best to hire someone else to oversee your property. Nowadays, you’d find a real estate company in Ireland that also offers property management services. With professionals managing your rental property, you can be certain about the smooth flow of this venture. Have a lease agreement. Never rent out your house without having a lease agreement signed, even if the tenant is your friend. The agreement isn’t just meant to safeguard your rights but also your tenant’s. Some of the important information stated in the agreement includes the lease term, due date for rental fees, penalties for late payments, maintenance responsibilities, pet policies, code of conduct, etc. You may find examples of lease agreements online. You can use these as references. However, note that letting laws vary per country. Hence, it’s best to ask professionals like lawyers and estate agents in Ireland to help you create the right lease agreement. Get good tenants. To reap the benefits of this venture and to ensure its success, you need to have good renters. To be more specific, you must get tenants who pay rent on time and adhere to the lease agreement. How do you make this happen? Screen potential tenants carefully. Call their references and/or previous landlord/s. Most importantly, check their credit histories. Screening all potential tenants can be tedious. However, doing this is necessary to avoid tenant-related problems later on. If you cannot handle this task, you can hire a professional estate agent to do it. Aside from screening or vetting potential tenants, the real estate agent can market your property and take care of viewings. With this professional’s help, the entire process of securing good tenants can be less taxing. Renting your house in Ireland? Let us help you find good tenants We also offer rental property management services. Call us at 014959020 today!